Recently, tragic stories start pouring in with some claiming they were robbed or houses being invaded. Many are turning into hard-wired home security cameras and systems like 4MP bullet type wired PoE cameras and systems. Today, I write this article to help homeowners and business owners to choose best PoE bullet cameras and share some tips to use PoE IP bullet cameras or systems outdoor. Bullet PoE IP cameras are largely favored by homeowners whose house is pre-wired with Ethernet cables or looking for dedicated hard-wired security cameras or systems, or business owners who are looking for HD powered over Ethernet security camera system for monitoring factories, plants, workshops, facilities or labs. Indeed, there are many benefits of using bullet IP cameras for home and business, for example, bullet cameras are flexible in placement and mounting. 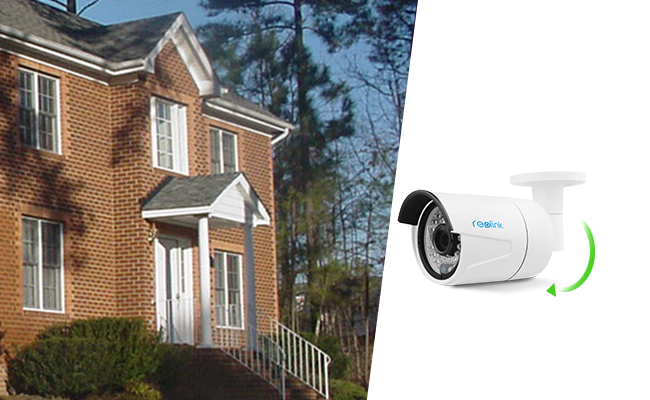 Today, we share some great insights on what features to look for when choosing home PoE security camera based on our expertise and our years of experience with thousands of homeowners. Bullet Power over Ethernet cameras with infrared night vision, optical zoom capability provide many clear details to help with positive identification in the event of break-in or theft, such as the appearance of a stranger, look at unknown vehicles, parked car license plate number, but also provide a true sense of security and peace of mind. For example, 1440p HD PoE outdoor bullet security camera RLC-410 managed to capture the very moment of the car incident in HD quality. Meanwhile, a wide-angle outdoor bullet PoE IP camera with a wide field of view (FOV) (over 80 degrees) helps covers large areas and reduces blind spots. Features like motion detection and alerts, remote viewing 24/7 on Smartphone apps, computer or web browsers come in handy no matter where you are. We have been in close contact with hundreds and thousands of consumers for years. 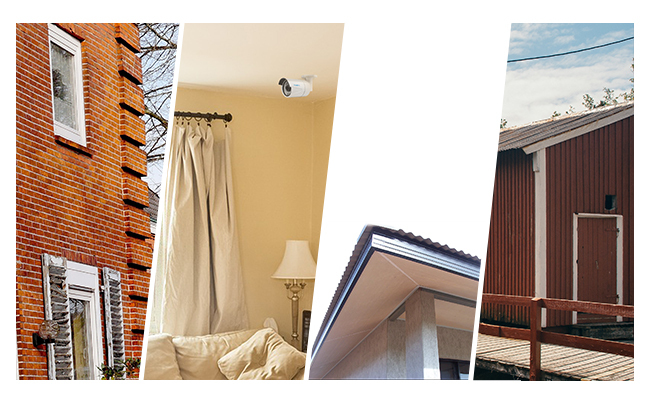 Based on our years of experience, we list out some of the most popular bullet PoE IP cameras for homeowners and business owners. 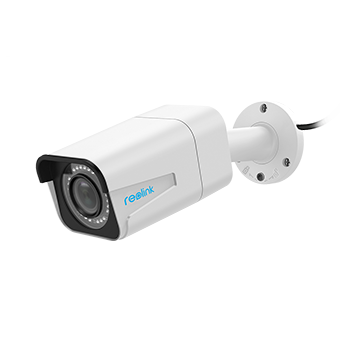 Reolink RLC-410 HD bullet PoE security camera is packed with 1/3″ CMOS image sensor, capable of capturing 1440p Super HD camera and 80 ˚wide viewing angle. RLC-410 also is a decent night vision PoE night vision security camera packed with quality infrared sensors (up to 100ft), 36 pcs IR LEDs to provide sufficient illumination even without additional light or street lamp, an IR cut filter to capture clear images and videos day or night. Besides, RLC-410 bullet mini PoE camera supports motion detection & alerts, audio recording, mobile access & viewing. Better yet, Reolink RLC-410 is priced at $74.99, which could be well below your budget. Hailed as one of best-value bullet PoE camera with optical zoom, Reolink RLC-511 can capture superior, clear and crisp 5MP images and videos. Better yet, you could also zoom in to see more details like car plate number or the look of strangers, or zoom out to see large areas. Built with aluminum-alloy body and waterproof cable, Reolink 511 is solid and ready to braves elements, a great security camera for monitoring hallway, alley, front door, backyard, daycare center, store and such! 5-Megapixel Super HD; 4X Optical Zoom; Outdoor/Indoor Protection; 100ft Infrared Night Vision; Built-in Micro SD Card Slot. Reolink RLK8-410B4 wired PoE bullet camera system comes with four 4MP/5MP PoE IP RLC-410 cameras and an 8-channel NVR with built-in 2TB HDD for 24/7 recording. 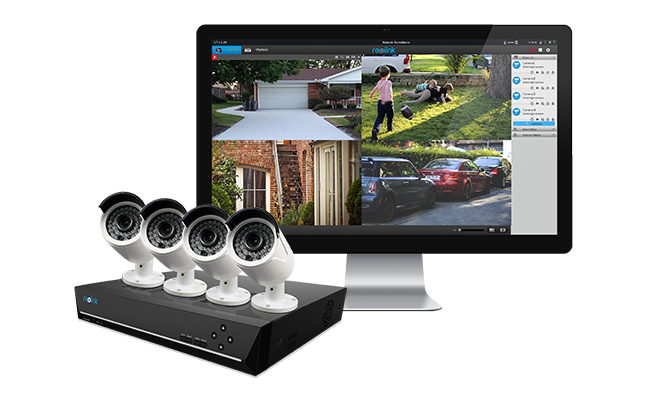 This amazing PoE bullet camera system is priced $549.99, great value for the money. The color of your security cameras matters if you don’t want the camera to be instantly noticeable to a passerby, or you want the camera to blend in with the settings such as limestone white walls and ceiling plaster better. White-colored bullet PoE cameras work great to soften intrusion with the surrounding. Past experience has told us it’s better to place your outdoor PoE IP security cameras (bullet or dome) on soffit, walls, the overhang of the roof, or under the eave. Depending on where you live, if you happen to be in areas where summer could go sizzling hot like over 90 °F or winter could go freezing cold below zero, the bullet IP camera’s working temperature is worth checking out. When your bullet IP cameras are placed outside, it’s normally if your camera starts fogging up and blurring out images and videos. The simple and straightforward solution is to place a packet of silica gel inside the housing case. If you are using bullet PoE IP cameras outdoors, waterproofing your camera and all the cable connectors is worth noting. Some users experienced some issues with the PoE connectors on the pigtail of their bullet PoE cameras that have caused it to stop receiving power. Remember to use cable weatherproof lip or wrap the cable connection in self-amalgamating tape or electrician’s tape. Alternatively, users could weatherproof your camera’s cable whip by using an applicable junction box or wall-mount bracket. The market is inundated with a plethora of bullet PoE security cameras, it’s important to choose reliable and top security camera brands with decades of experience and expertise for a start. This entry was posted in Buyer's Guide and tagged benefits, poe bullet camera, tips, top picks.